Jim Montrella began his coaching career at the age of 19 when he started a novice swim program. The Lakewood Aquatic Club quickly became dominate in Southern California with over 100 National AG Top 16 listings as well as setting numerous National AG records. He took his first two swimmers to US Nationals 5 years after starting the team, had his first finalist two years later and 4 years later qualified 31 swimmers for Nationals from a team of 123. His swimmers went on to set two World records, 21 American records and over 50 National titles. He placed 8 swimmers on USA Olympic teams accounting for 8 medals including 4 Gold. He relocated to Indian River Community College where he was the Athletic Director responsible for scheduling, coordinating, budgeting and staffing ten sports programs. He was also the Head Men’s and Woman’s swimming coach and responsible for coordinating the swimming programs within a three county area. Both men’s and women’s teams won the NJCAA championships each of his two years and he was named Coach of the year in both 1978 and 1979. During his 17 years at The Ohio State University his teams set five consecutive Big Ten Championships, with swimmers winning 66 conference titles and 48 swimmers recognized as NCAA All Americans. Jim was awarded the ASCA Coach of the Year in 1969 and 1971. He was elected as a coach for the 1976 USA Olympic Swimming Team and was an Assistant Olympic coach for Columbia in 1972. He was inducted into the ASCA Hall of Fame in 2005 and The Ohio State University Athletics Hall of Fame in 2009. Jim has always been very active in USA Swimming serving on numerous committees, has coached over 20 USA National teams and served as coach and manager of the US Olympic Development Camps in Colorado Springs. He has been a member of ASCA since 1959 and is a past Vice President and Board member. 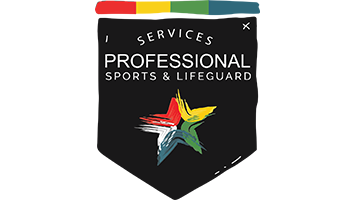 He has owned two businesses: Modern Swimming Concepts where he designed, manufactured and distributed hand paddles and Competitive Aquatic Supply which wholesaled and retailed aquatic supplies for swimming, diving, water polo and synchro. Although retired he continues to be sought out to help with various high school and collegiate programs and mentor athletes on the collegiate recruiting process.